I first encountered this in a job I held an embarrassingly long time ago. I was working on a project to rewrite template letters that were unspeakably bad. They were meant to be catch-all letters and each one had information meant to answer 20 or so tenuously related potential questions. If you wrote in with one of these questions, you received a multipage, dense block of text and the pleasure of hunting for the sentence or two that addressed your particular concern. Of course, once you found this, the odds you could understand it were pretty long. The letters were masterworks of bureaucratese, composed by committee and enriched with lots of evasive legal language. Needless to say, this narrative pudding generated confusion and lots of follow-up questions. And indeed, we ended up with letters that were a lot smarter. To be able to explain the subject matter plainly and directly, everyone involved had to really come to grips with it and understand it. This made for new letters that were much more informative and illuminating. As Albert Einstein once said “If you can’t explain it simply, you don’t understand it well enough.” And he was no dummy. 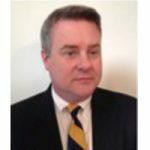 About the author: Bill Ryan is a longtime Federal employee currently serving as a Program Manager in the Department of Homeland Security. He earned his plain language spurs working on the Clinton Administration’s Plain Language Initiative as a member of Vice President Gore’s National Partnership for Reinventing Government.